He became academician in 1742, director of the Académie in 1778. 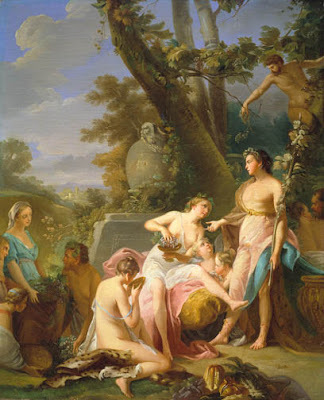 He was First Painter to the Duke of Orléans, then to the King in 1770, replacing Boucher. Jean-Baptiste Marie Pierre was director of the Gobelins, the Musée des Gobelins has many tapestries made after his cartoons. Les traditions – comme les femmes – sont faites pour être à la fois respectées et bousculées.